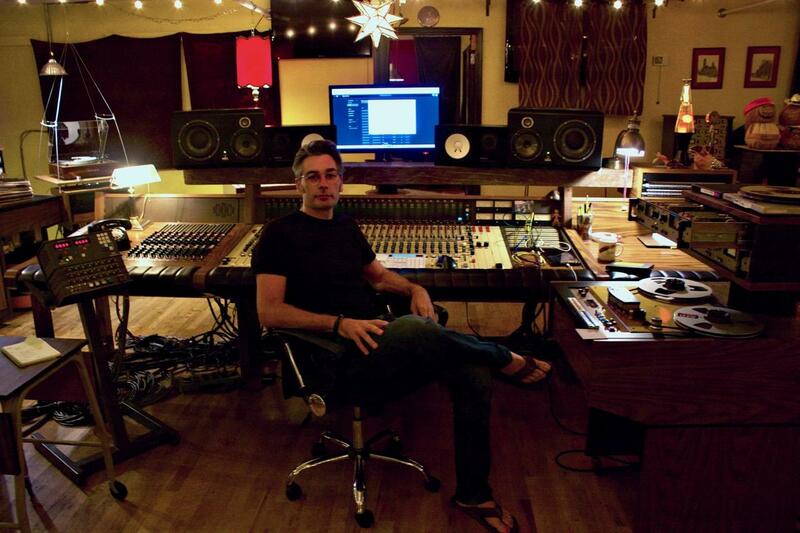 Chris Mara sits at his desk in his recording studio. On the far right is an MCI tape machine. More and more musicians are going old-school when they record — using reel-to-reel tape machines. But manufacturers aren't producing these massive devices anymore, and the used machines that are still functioning are hard to come by. That's where Chris Mara comes in, as the man trying to bring more of them back to life. 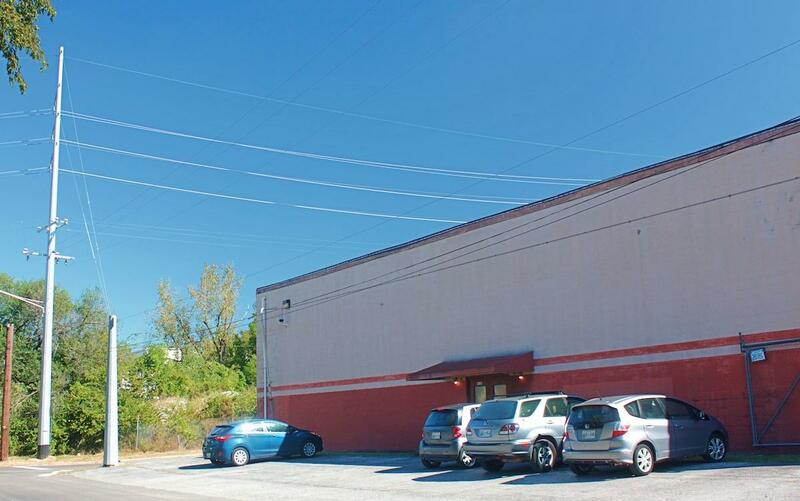 Mara’s recording studio in West Nashville is filled with MCI-brand tape machines, and they’re enormous. Each machine is boxy and brown, and most weigh around 600 lbs. Picture espionage equipment from the Cold War or something out of 2001: A Space Odyssey. Mara mashes a button on the device next to the recording desk in his control room. "This is not a machine we sell any more. This is my machine, so it has some quirks," he says. "But they say that a mechanic’s car never runs right." MCI isn't a household name anymore, but they were the go-to brand for budget recording studios for years. Mara started a business, Mara Machines, in 2008 to buy up old MCI tape recorders and refurbish them. It now bills itself as "the world's largest analog tape machine restoration company." "They stopped making these at the beginning of the '80s, so we take them, rebuild them, replace components, pretty them up a little bit, re-badge them as Mara Machines and send them out," says Will Tyson, one of Mara’s techs. This is good news for so-called "tape heads," recording engineers who specialize in using reel-to-reel machines. Tape machines require a lot of maintenance, and there aren’t many options outside of Mara. One of his customers is Eric Heigle, a producer, engineer and self-described tape head based out of New Orleans. "The way I understand it is, the closest thing you can get to buying a new machine is Chris Mara rebuilding an MCI," he says. So, what about tape sounds so much better? Recording engineers say, among other things, that tape recordings have more “warmth.” This is because recording onto magnetic tape produces harmonic distortion — sonic artifacts that give the sound a distinct color. For example, here’s a digital recording of a mandolin. This is a mandolin recorded digitally. And here’s that same mandolin run through a tape machine. This is a mandolin recorded on a tape machine. The difference is subtle, but record producers like Heigle say they can hear it. "You get to a certain point and it’s like, 'What else can I do to get better sounding records and further explore the craft of what made recording special in its advent?' " he says. Recording onto tape doesn't just change the sound, though. It also changes the way you record, says Kate Haldrup, assistant recording engineer for Mara. "It totally changes your workflow," she says. "I like that it offers a lot of limitations. Tape forces people to make decisions." Welcome To 1979 and Mara Machines are housed in a nondescript, old warehouse in The Nations. Mara doesn’t just restore machines. As a music lover — he’s a big fan of Tom Petty and Ryan Adams — he still makes records in town at a studio called Welcome To 1979, housed in an old warehouse in The Nations. On a recent weekday, he workshopped some material with local musician Becky Warren, who wanted to record her album on tape. "I don’t like to feel the pressure to have everything be absolutely perfect," she says. "I feel like that kind of kills the soul of it. So tape is attractive to me for that reason. I feel like it kind of gives you permission to not be quite so perfect." None of this is particularly easy. Mara has stories of having to drag these massive machines up flights of stairs, by himself, in flip-flops, to load them onto a truck for transport. He jokes that he now only buys MCI devices that are at street level — or charge more to move it out of a basement. When asked why he's dedicated so much of his life to restoring tape machines, Mara gets a little philosophical. "Fundamentally, I think there’s a lot of magic in there," he says. "It’s really fun to take a machine that wasn’t doing anything, and restore it, and sell it to somebody, and they’re making music with it, and it’s part of their new experience. I always say cars are meant to be driven. You know what I mean?" It's not a real Stanley Cup, but it will do for a town that loves music as much as Nashville. 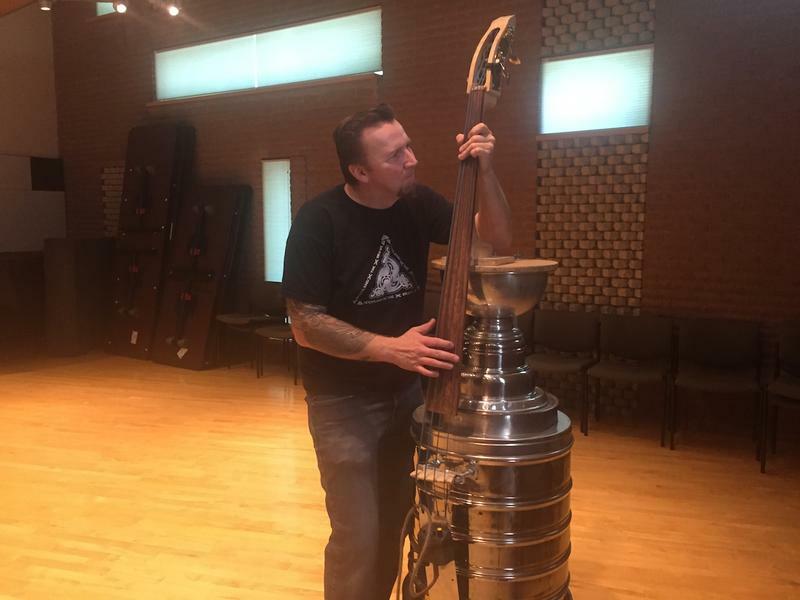 Shane Chisholm, an Americana bass player who moved here recently from Canada, has been building upright basses where the body is a homemade replica of the NHL Stanley Cup. The NHL, it turned out, wasn't happy about it. Hear the story about Shane Chisholm's upright bass. To fully appreciate this eclipse story, WPLN recommends the audio version (above). 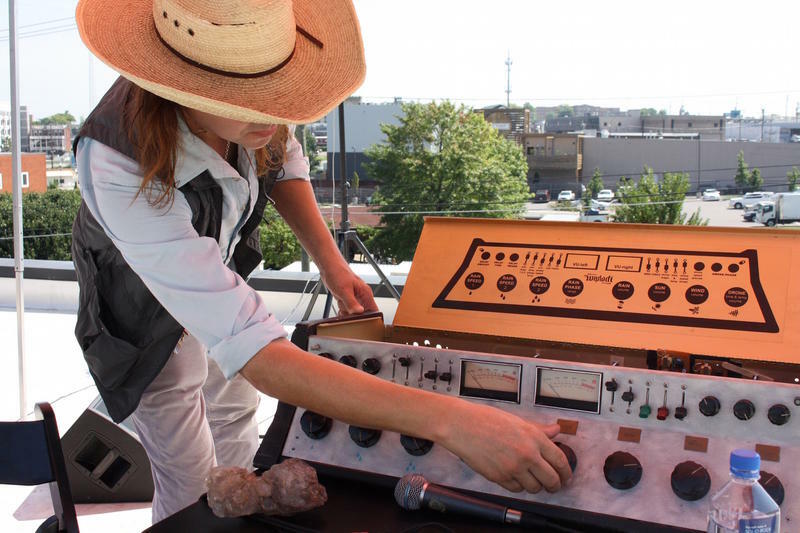 An experimental musician brought his weather-controlled synthesizer to the roof of Jack White’s Third Man Records in Nashville for the total solar eclipse. The so-called “Weather Warlock” made a soundtrack based on the atmospheric conditions of wind, temperature and sunlight. 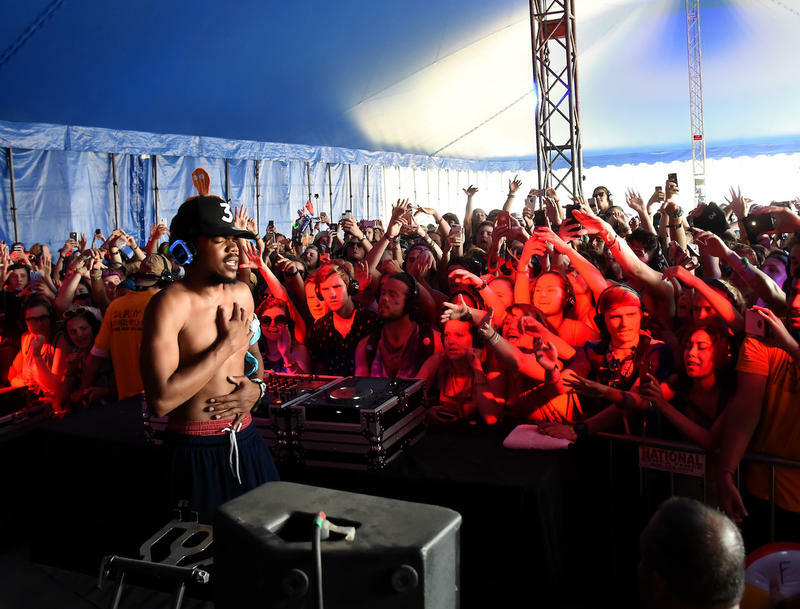 The Bonnaroo Music and Arts Festival is hoping to rebound from its worst attendance ever last year, and organizers are betting on a sound that’s a little different than what made the fest famous.